Innovative and of high visual impact, Sol expresses an elegant lightness of shapes. 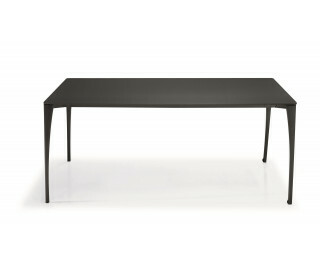 Sol is a fixed or extending table with legs in aluminium: polished, or painted matt white, or painted anthracite grey. The table top is available in white painted or white acid-treated extra light glass, acid-treated black glass, or in an innovative lightweight and resistant material, with white or anthracite grey laminate finish, and a glossy semi-transparent border.